Born in 1981, in Ștefănești, Argeș, Romania. Oana graduated the Faculty of Electronics and Electro-mechanics in 2005, while also studying French and Romanian language and literature. She went on to graduate in journalism in 2008. While working as a Network administrator, Oana was also a screenwriter for Media Pro Pictures of Bucharest. Her first book was the fantasy novel Stăpânul – Răpirea zeilor (The Master – Kidnap of the Gods) in 2005. It was followed by other books in the series as well as short fiction. In 2008, Oana published the first part of the fantasy series Războiul Reginelor (War of the Queens), and then her first crime novel Indicii Anatomice (Anatomical Clues). The next crime-thriller novel was published in 2010, Crime perfecte – Dincolo de oglindă (Perfect Crimes – Beyond the Mirror), followed by Sărutul Morţii (The Kiss of Death), Parfumul Văduvei Negre (The Perfume of the Black Widow) in 2011, and by Greșelile trecutului (Mistakes of the Past) in 2012. Her latest book is Șarama (fantasy) published in 2012. Oana Stoica-Mujea is also an active blogger and a contributor to various magazines and publications. 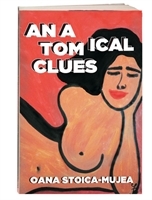 Anatomical Clues is Oana’s first book translated into English.